Today in Masonic History John Barry Passes Away in 1803. John Barry was an Irish-born American naval officer. Barry was born on March 25th, 1745 in Tacumshane, County Wexford, Ireland. His family was driven from their ancestral home by the British and they fled to the United States. Barry, throughout his life was a religious man. He would begin every day at sea with a prayer and bible reading. He also had great regard for all of the crews he commanded and made sure they were well taken care of. Despite this, during his entire career with the United States Navy, including the time during the Revolutionary War, Barry would put down three mutinies. Barry was given command of the USS Lexington on December 17th, 1775. It would be the first commission issued by the Continental Congress. He would later be commissioned as a Captain, by the Continental Congress and signed by John Hancock President of the Congress, on March 14th, 1776. During his command of the Lexington he would capture the Edward, a tender for the HMS Liverpool. On June 28th of 1776, Pennsylvania's brig Nancy ran aground with nearly 400 barrels of gun powder aboard. In the night, Barry ordered that all but 100 barrels be rowed ashore. He then ordered that a delayed fuse be set on the remaining barrels. As British sailors attempted to board the Nancy, the gunpowder exploded. The engagement became known as the Battle of Turtle Gut Inlet. In 1777, Barry was in command of the USS Delaware. The ship sailed under a letter of marque, making it a privateer. He would capture several English vessels in the Delaware River. After the Delaware, Barry was placed in command of the USS Raleigh. It was run aground in September of 1778. Barry and the crew scuttled the ship, the British were able to re-float the vessel and it was used by the British Navy. At the end of the American Revolution, Barry was given command of the USS Alliance. The Alliance would fight and win the last naval battle of the American Revolution off the coast of Cape Canaveral. During the American Revolution it is alleged that the British Government offered Barry 100,000 pounds and command of any frigate that he would choose in the British Navy if he would abandoned his new home. The offer outraged Barry. He responded that not all the money in the British treasury or command of its entire fleet could tempt him to desert his adopted country. After the American Revolution, Barry was given command of the frigate USS United States. He commanded the ship during the undeclared war between America and France, referred to as the Quasi-War. The war only consisted of naval battles. He would also sail his vessel to France to negotiate the end of hostilities. In 1797, President George Washington issued Commission number 1, granting Barry the rank of Commodore. 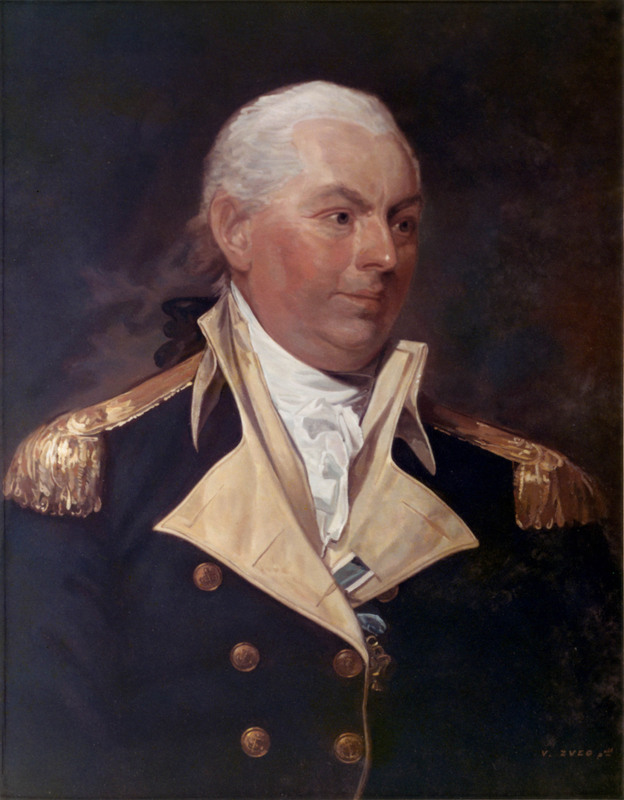 He is recognized as the first officer of the United States Navy and the first Flag Officer. In 1801, Barry would sail the United States into port for the last time. He would remain in charge of the United States Navy until his passing. Barry passed away on September 13th, 1803. He died from asthma. Barry was a member of Old Lodge No. 2 in Philadelphia, Pennsylvania.